Promotional video #wearetalayoticThe promotional video for the Menorca talayótica candidature carries the slogan #wearetalayotic and its objective is to invite the Menorcan people to take an active part in a project and a challenge which belongs to everyone. Support our nomination!The nomination is a commitment by everyone. We need your support too. The characteristics of the monuments of Talayotic Minorca are their great authenticity and exceptional value: the construction technique s used, their good state of preservation, their integrity and monumentality, and the large numbers still extant – in an area of only 700 km2 there are more than 1,500 sites, two per km2. A selection has been made that encapsulates the island’s prehistory, using chronology, type, functionality and significance in the island context. Inauguration of the exhibition Urban archeology: 20 years between neighbors, machines and maneuvers. This exhibition is a sample of the most interesting archaeological materials that have provided preventative excavations during the last two decades. The visitor will also be able to know some of the new data about our past that has been collected through these performances. THE MENORCA RADIOPHONE GROUP GETS 14,560 CONTACTS TO SUPPORT THE TALAYOTIC MENORCA NOMINATION. A year ago, the Menorca Radio Amateur Group, with the support of the Insular Council of Menorca, started a campaign to promote and disseminate Talayotic Menorca through the establishment of radio contacts from thirty-two Talayotic sites in Menorca. 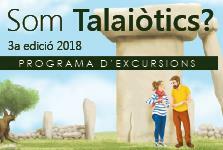 The Talayotic Minorca nomination process to become a Word Heritage site goes on. 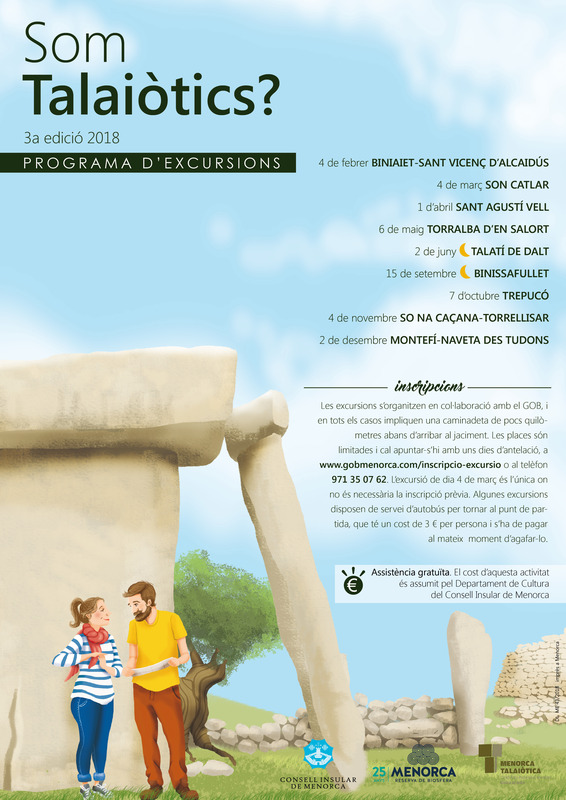 The insular council (Consell Insular) continues organising activities to raise awareness among Minorcans about the importance of our archaeological heritage. 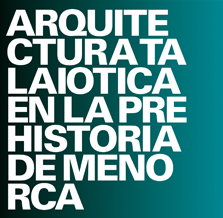 Congress of Prehistory and Protohistory in the Western Mediterranean will be held in Minorca between the 27th and the 30th of April. The Talayotic Minorca World Heritage nomination is a commitment by everyone. We need your support too, join our bid! If you want to be kept up to date on our bid, just send us your name and email. We’re also in the social media. Follow us and be the first to know!